Because sometimes you need to sail on the wind that others are blowing for you. Nobody feels 100% confident all of the time. It’s part of being human, to have fears and doubts. It is nice to have people in your life who are holding up your sails and even blowing the wind for you to keep moving forward when you feel like you don’t have your own strength to carry on. 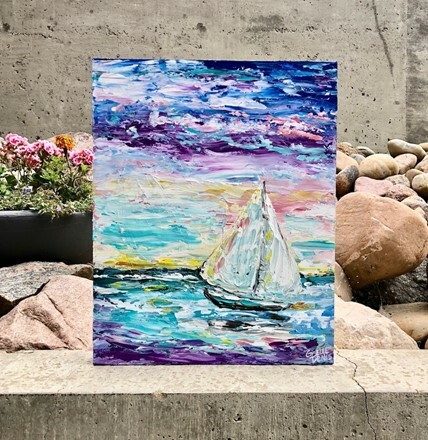 This painting is a tribute to the people in my life who are the wind in my sails.